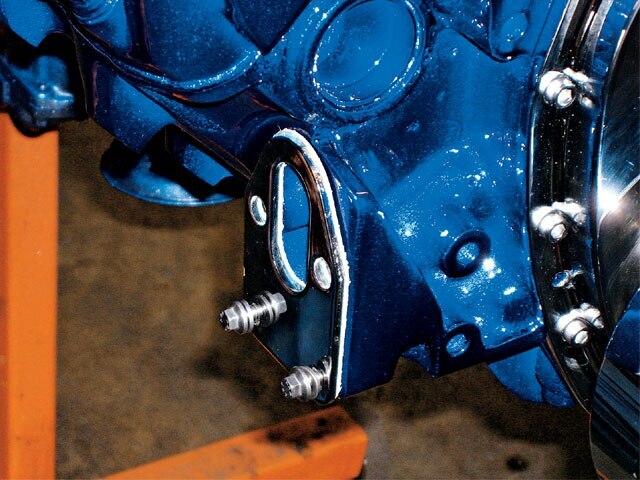 This month, we wanted to show you how Primo Restorations in Rancho Cucamonga, California, bought a clean ’92 Chevy Camaro, pulled out the engine (and transmission), and swapped it into an American classic. The 355-c.i.d. engine was painted to match and hooked up with several accessories that got the ‘57 Chevy Bel Air rolling like a modern day custom. 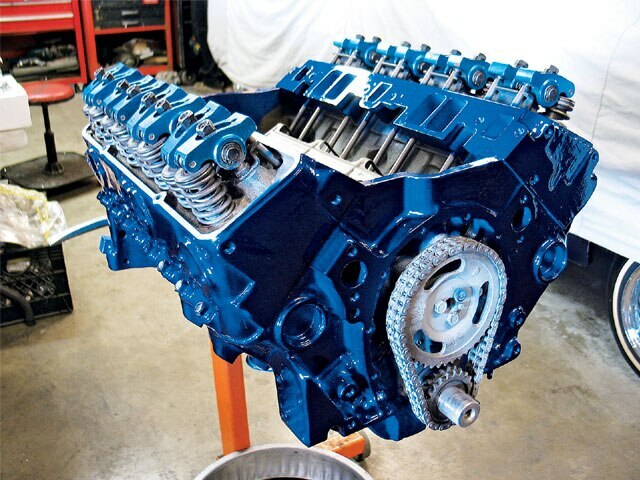 The engine swap is one of the classic build techniques that we’ve been telling you about in past issues of . With our new Lowrider Garage, we want to give you all of the options that are available when you build your own car. This donor car was bought for around $600 and after the engine and transmission were pulled out, the car was sent to the junkyard for $175, bringing the engine in at $425. We normally don’t like to suggest this method for an engine swap, but this engine was strong and the Camaro that was used had been in a small fender bender and the shop knew that the car was destined to be a donor vehicle. 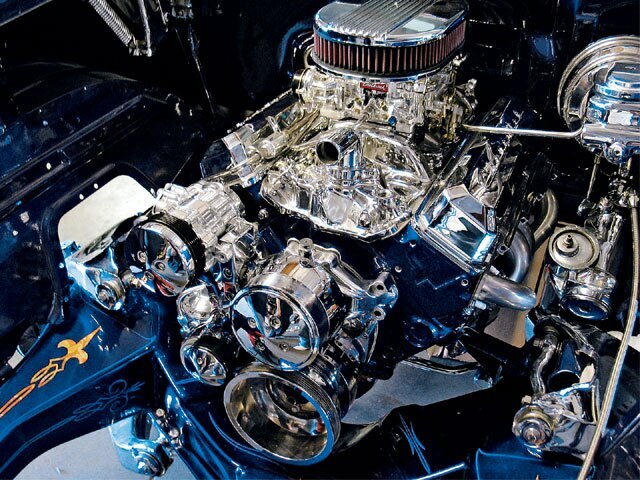 The engine was given several upgrades, including roller lifters and double timing chain. A comparable engine would have cost around $2,500 to start with. After ordering a few parts, the engine was ready to be built. 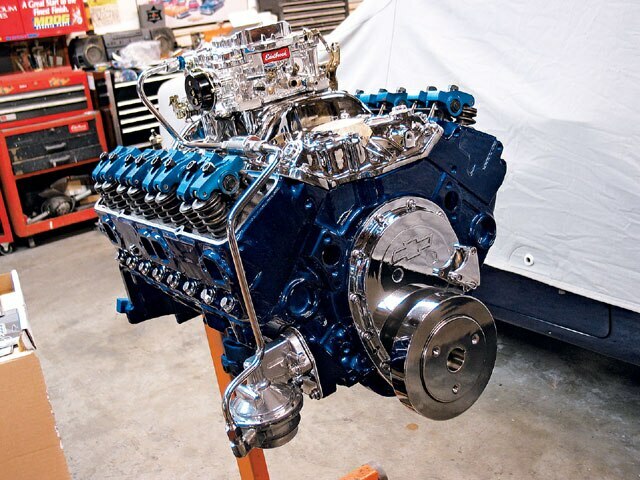 Once completed, this engine came in at under $5,000, making this engine swap the modern day budget build that we’ve been taking about. 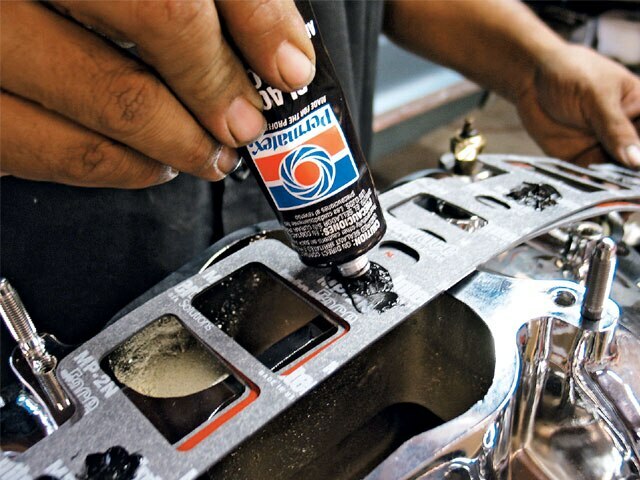 Now follow along as Primo Restorations assembles and drops this newer engine into an American classic. The engine was pulled out and painted candy “burple” to match the exterior of the Bel Air. The oil pressure sending unit sensor was pulled away with this adapter to allow the intake to sit properly. 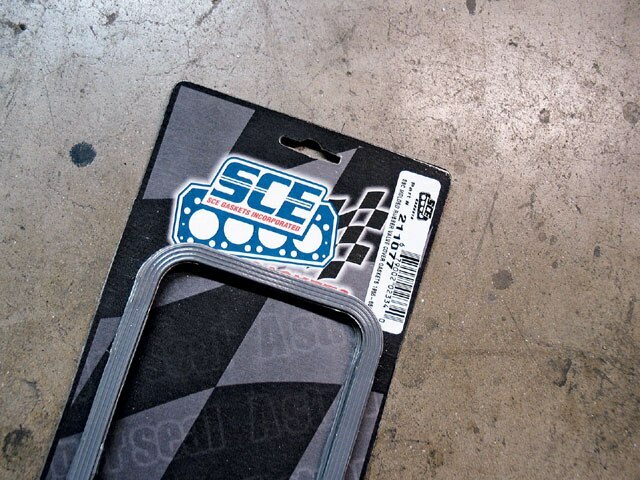 SCE gaskets were used to seal the chrome intake and aluminum angled plug heads. The first thing that was opened was the ARP engine kit, as we were going to need it to assemble the engine. The engine valley was cleaned and ready to have the intake bolted on. A thick bead of high-heat silicone was used to seal the front and rear of the intake. 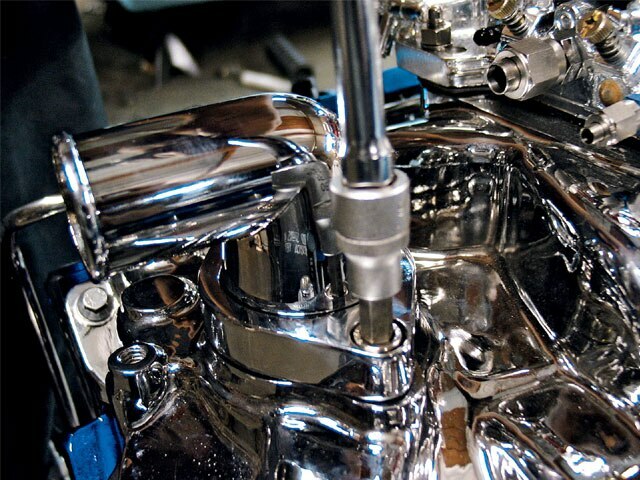 The Professional Products chrome intake was used to complement the hooked-up chromed-out engine that was being planned. 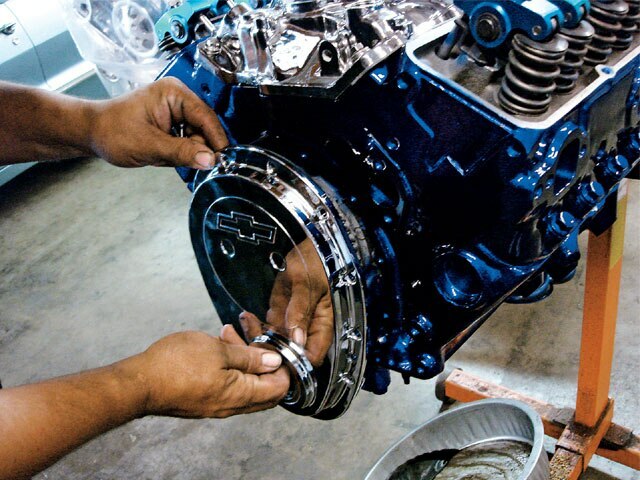 The dual roller timing chain was checked and then ready to be covered. This billet timing pointer was bolted on to help us get the engine timing right. 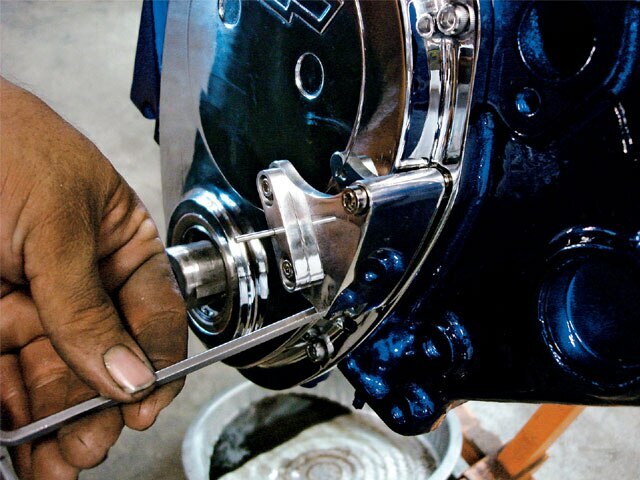 We used this Proform harmonic balancer installation tool that pushes the balancer onto the crank. 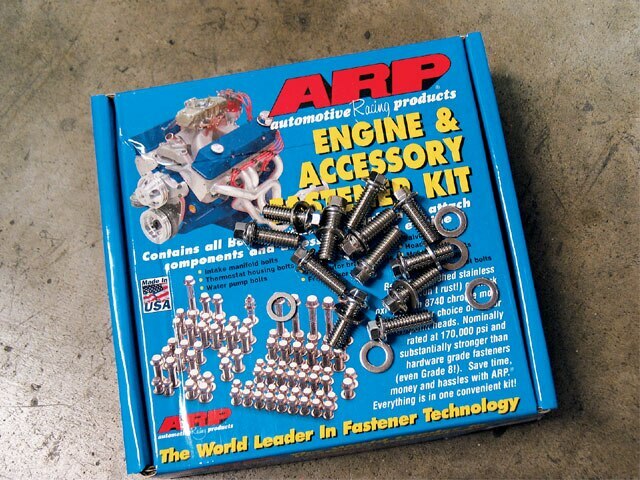 With the engine painted, the regular ARP head bolts were swapped out one a time. 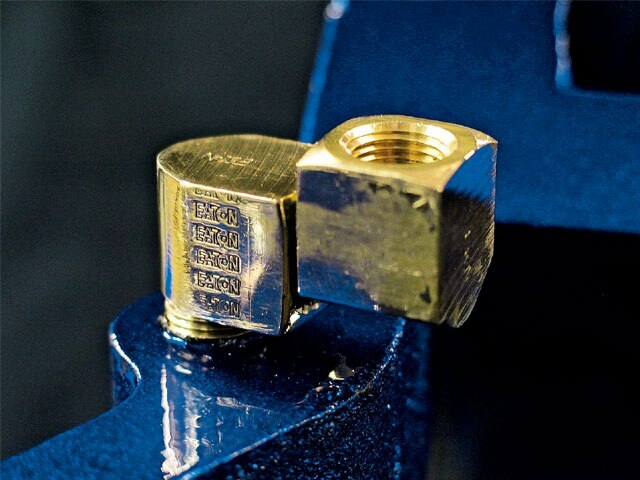 Each head bolt was torqued down to 65 lbs, the specs that ARP suggest for aluminum heads. The intake was torqued from the center out. 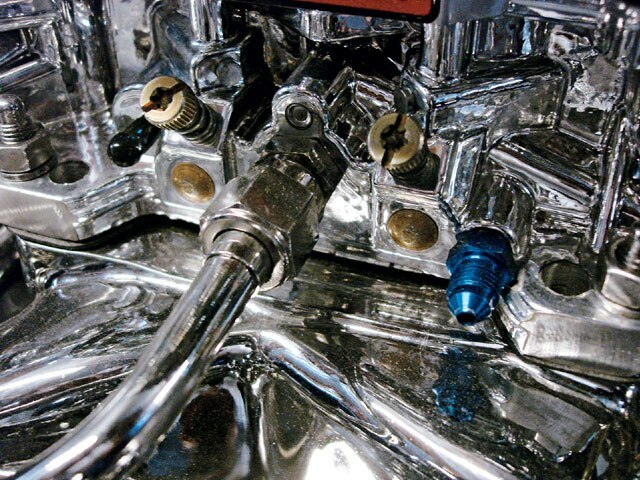 A Proform AC-Delco chrome valve cover was used. This is what not to do! 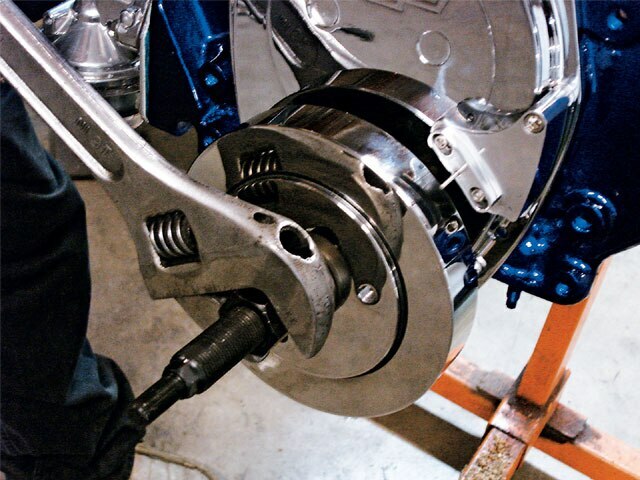 Most backyard or “shade tree” mechanics will hammer in the harmonic balancer. 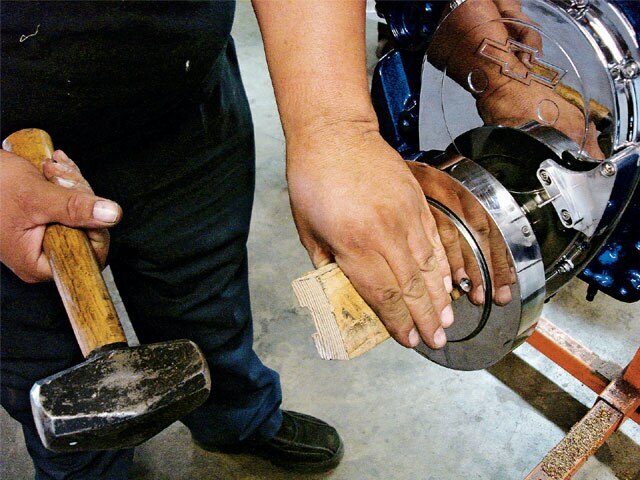 When you do this, you’re actually pushing the bearings and creating the possibility of leakage or, in the worst case scenario, bending the connecting rods. The fuel pump plate was installed. 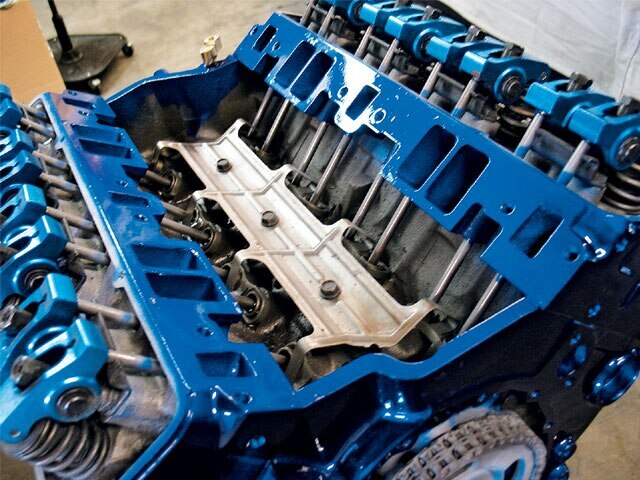 SCE gaskets were used throughout the engine build, including the valve covers. As you can see, the kit was coming together as the power steering pump was bolted on. 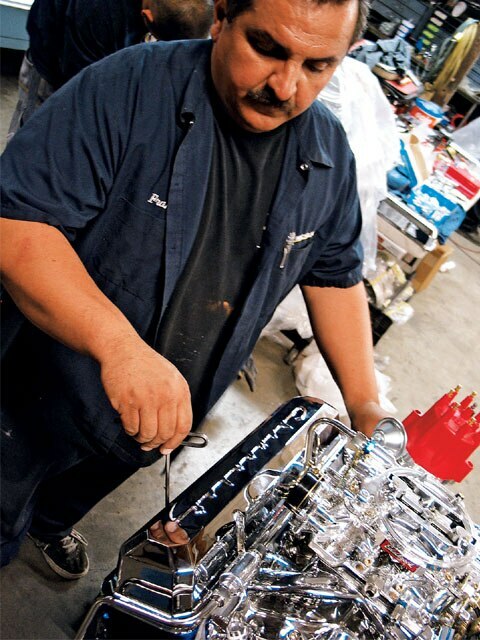 Frank installed a set of PML valve covers that looked era correct with a modern flavor to them. 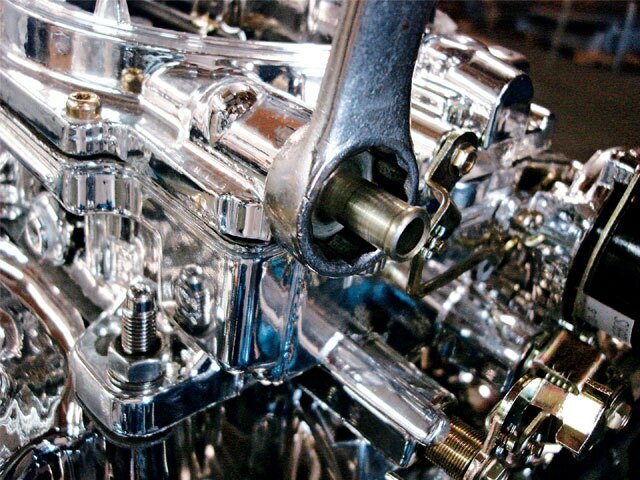 The Edelbrock carb had the fittings swapped on it for AN fittings to allow the carb to be hard-lined. 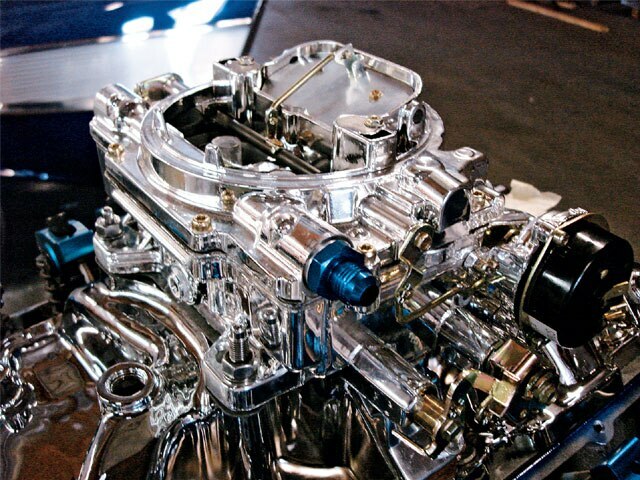 The Edelbrock carb was outfitted with AN fittings to allow the carb to be plumbed. An MSD ready to run distributor was dropped into place after TDC (“top dead center”) was found on the engine. The pulleys and brackets were bolted on to complete the transplant. The Endurashine carb had the fuel feed fitting removed. 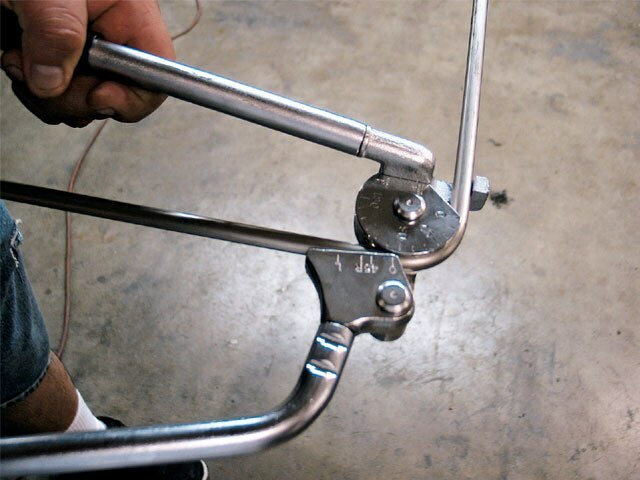 The 31/48-inch stainless steel tubing was bent to the right angles. Here’s a view of the hard-line plumbed from the fuel pump to the carb. After the engine was bolted to the frame, next up was to start bolting up the chrome-plated March serpentine pulley kit.